With all the effort “kids these days” are putting into stancing their cars (lowering on coil-overs, stretching too-small tires over too-wide wheels, and more), you’d think some would have figured out stance happens – nature is already doing the job for them. Cars with unusual suspensions like the Mercedes 300SEL 6.3, Citroen DS, and the ADO16 British Leyland products all have suspensions that, after 40-50 years, are prone to failure. This sets them down on their bump stops, giving them that cat-dragging-its-belly-on-the-ground look. Were they to pick up one of these cars, all they’d need to add is some wide tires on small diameter, deep-dish wheels with crazy camber and presto! 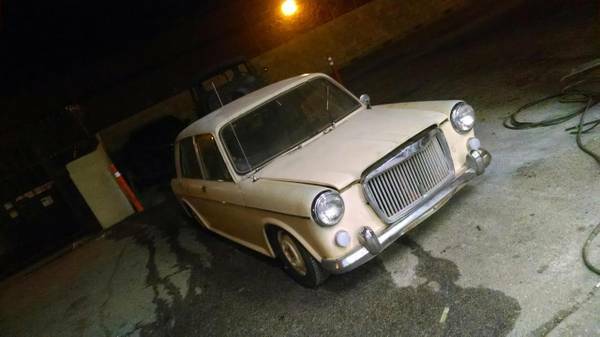 For a halfway-done stance project, check out this 1967 MG 1100 for sale for $1500 in Lancaster, CA. 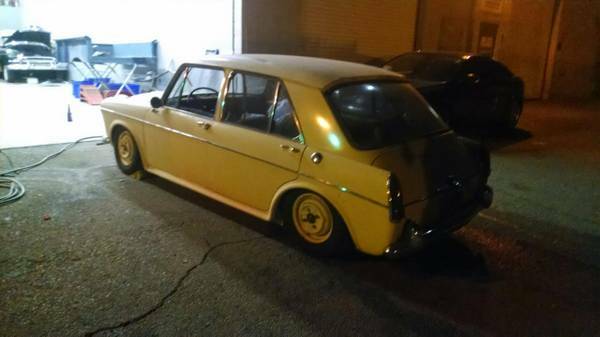 Sacrilege, you say – this car deserves to be restored blah blah blah. Well, here’s the secret – since this is happen-stance, you can restore the car’s natural posture any time you like by simply rebuilding the hydrolastic suspension. Some of the people in this hobby are actually doing something cool – while much of this trend focuses on modern cars, some stancers (is that a word?) are picking up formerly dorky cars and dressing them up with a lower ride and wide tires. This particular car has 11,000 indicated miles, and has been off the road since 1978. As it’s been dormant for the last 36 years, it will need the usual rejuvenation – a good, thorough cleaning, together with all new fluids, rebuilt hydraulics, and rebuilt carburetor, plus of course hoses and ignition parts. However, once the work’s been done, you’ll have a great-handling car that might even terrorize the odd autocross or two, especially with a hopped-up 1380cc A-series installed in place of the 1100. No matter your perspective on the stance thing, would you consider resuscitating this car? This entry was posted on August 26, 2014 at 3:21 pm and is filed under Feature. You can follow any responses to this entry through the RSS 2.0 feed. You can leave a response, or trackback from your own site. these are fantastic driving cars when they are in reasonably good repair and don’t have that dreadful automatic.